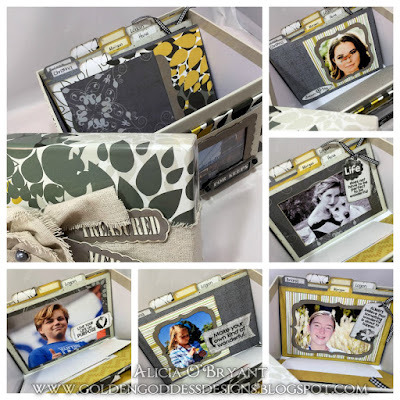 Blog Quick Quotes: Altered Inspiration with Alicia! Good morning, Quick Quotes readers, Alicia here today with a fun altered project. This is actually left over from last year's Quick Quotes' Two Day Mini Reserve. I did not complete the project at the time of the event as I was not sure how I wanted to use it. I decided to give this to my mother for Mother's Day. She adored it and absolutely loved the colors. 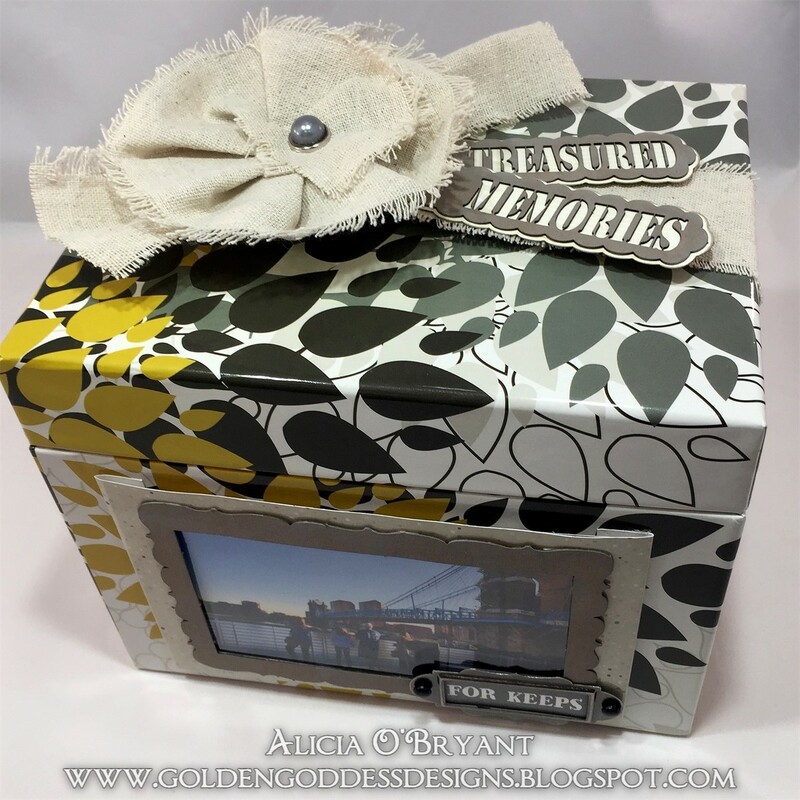 If I had completely this project last year, I would not have had the new 2017 Warm Gray PowderPuff Chalking Ink which complimented the box and contents perfectly. I followed the directions for the outside of the box while choosing my own sentiment for the label in front. For the inside, I did my own thing. I labeled some of the dividers with all the grandchildren's names. Then I grabbed some of the best pictures from their Facebook pages, I am so sneaky...I printed them on my PIXMA iP8720 13x19 Wireless Printer from the comfort of my chair since the printer is wireless. I dressed up the dividers with papers and quotes from the kit. I inked up the chipboard pieces with powderpuff chalking ink and adhered it all down. I filed the left over pics behind the appropriate divider. I will let my mother label the remaining dividers in the categories she finds she needs. She intendeds to use this box very soon to sort her photos. There's plenty of room left for her to complete her task. Finally, the front photo is removable so she can switch it out as she wishes. However, she was delighted with the photo I used that features most of her grandchildren. I took it when my sister and her girls where visiting. The dramatic view is of them overlooking the Roebling Suspension Bridge here in Cincinnati. While you can no longer obtain this specific kit, you can purchase the box and quotes from the Quick Quotes website, the links are below. I hope this inspires you to consider one of the upcoming Quick Quotes Events featuring exclusive projects. Wonderful work, Alicia! Great ideas.